Sorry we’re not home right now, we’re walking into 1995 to discuss No Doubt’s breakthrough album TRAGIC KINGDOM in our latest episode! 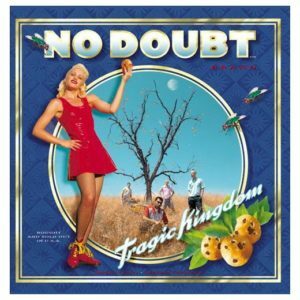 We’ve already repeatedly mentioned Tragic Kingdom on the podcast, and there’s good reason for that – all three When We Were Young hosts count this album as the first or one of the first CDs they ever purchased, as well as one of the most influential during their pre-teen years. 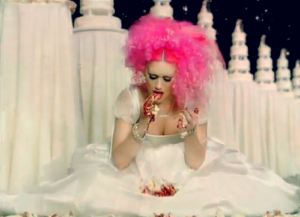 Gwen Stefani’s mid-90s style certainly still inspires Becky’s fashion sense today, but how does the band’s seminal ska-pop-punk record hold up after 22 years? Because Tragic Kingdom’s 14 tracks aren’t enough for us, we also touch on the Anaheim outfit’s first two albums, the self-titled NO DOUBT (1992) and THE BEACON STREET COLLECTION (1995), as well as their anticipated follow-up RETURN OF SATURN (2000). Listen, but be forewarned: there be many impromptu a cappella renditions of No Doubt songs in this episode.